What do missing old ladies, international crime syndicates, and mysterious green substances, all have in common? What? You don't know? Well, let me give you a clue: They all feature in the following thrilling story created by Scott Lobdell, Dexter Soy, Alisson Borges, and published by DC Comics in May, 2018! TO QUOTE Gabriel Garcia Marquez: 'Do not allow me to forget you'. Due to recent circumstances, each member of The Outlaws has been forced to go their own separate ways. While blissfully unaware of the turmoil his two teammates are going through, Jason continues his solo attack on the Penguin’s operations, whereas Artemis, on the other hand, decides to go to the only man in the world who may be able to help Bizarro with his current condition, Lex Luthor. Oh, and as I'm talking about Bizarro, he tries to make the most of his day despite being fearful that he will regress to his old self. So, with this in mind, will any of them be able to work together or do they face their obstacles alone? 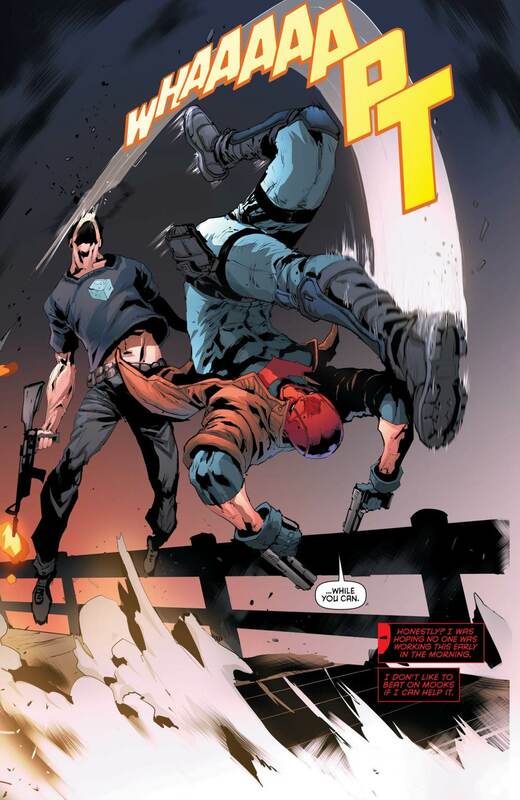 To find out, please pick up issue 22 of Red Hood and the Outlaws today. In the meantime, though, let me just say that Scott Lobdell plays around a bit with the reader's expectations while writing this issue. Admittedly, he does open the book with Jason facing off against The Penguin and his goons (as promised by the cover), but regrettably, their conflict is quickly resolved, before opting to develop other plotlines from then on in. Even though Jason's story appears to be the most interesting one at the moment, it still lacks a direct connection to the rest of the adventure, leaving the issue feeling disjointed, aloof, and blatantly detached. His story also has the problem of feeling at odds with the way it was developed during the previous episode (similar to Bizarro's story), and this hurts the overall pacing of the arc. Having said that, though, the inclusion of the Faye Gunn character is a very intriguing development, and it does feel like a perfect fit for Jason's supporting cast, one I'm more than willing to follow. In Artemis' case, however, we finally get a peek at the events that transpired at Hierve el Agua (that the Creeper alluded to in issue 18), which, surprisingly enough, manages to tie the Amazon warrior to Lex Luthor himself! Obviously, this revelation puts their previous interactions in a much different light and helps to understand why she asked him to help Bizarro's situation. And as for Bizarro's part of the plot? Well, in all fairness, that's the simplest plot of the lot, all because it just shows us the way his situation is progressing throughout the day. In a stroke of genius, Lobdell chooses to depict this sequence in a way that's very reminiscent of how Alzheimer's Disease progresses; creating the most powerful moments of the issue. However, as good as the closing scenes are, I don't think the plotline needed to run this long (10 issues and counting) to create the same emotional response from the readers. Now quickly moving on to the art department and I must say that Dexter Soy had a noticeable bit of help from Alisson Borges while drawing this months adventure. While she drew those scenes featuring Artemis, Soy drew the rest of the book. Not that this is a problem, of course, because more or less Allison does an excellent job at mimicking Soy's style of art. But on occasion, it is fairly easy to notice the difference between the two. Soy's pencils, on the other hand, feel a little rough at times as if he had to rush a deadline (possibly explaining the need for a second artist). He still manages to deliver some impressive work, though, and the same can also be said for Gandini too! Besides, she deserves some praise since her homogenized color pallet merges together the styles of both Soy and Borges quite nicely. Despite my misgivings, most of the scenes which feature Bizarro left a stronger impression on me than the others. So with that in mind, I would like this month's musical match-up to be the Slipknot song, 'Dead Memories', because it's powerful lyrics work very well to let us understand the frustration and fear that's going through Bizarro's head, second, by minute, by hour, by day. Once again I'm going to use Bizarro's struggle as the basis for this months comparison. 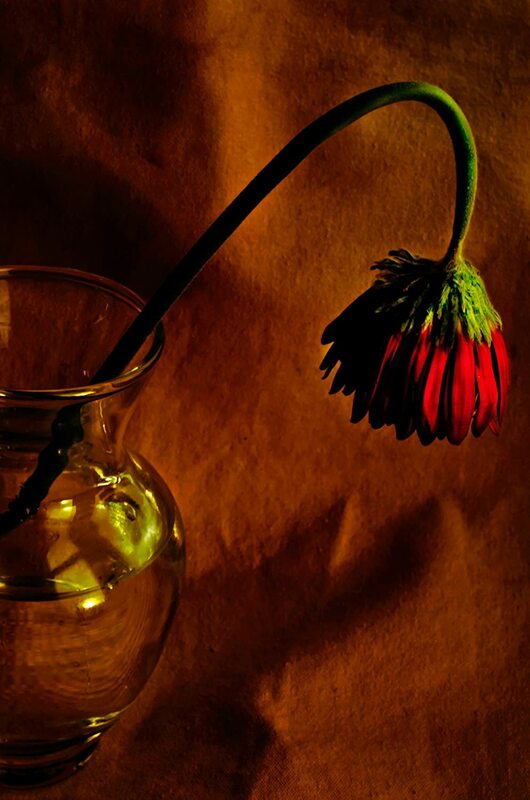 After all, the way his intelligence is slipping away is eerily similar to a withered flower unable to stop the natural flow of life. Despite the book having more notorious flaws than its predecessors, all in all, it still manages to deliver a solid story I was able to enjoy. To some degree, most of its focus was directed at the characters feelings to be the main event, while a couple of action scenes slightly peppered the plot. Even though the action was satisfying to follow it was just there to provide a backdrop for the emotional turmoil. As such, this episode is a worthwhile addition to the shelf of any comic book fan.